Based in Guinea-Bissau, Madagascar, and Québec. Vololoniaina has been one of the earliest and most active Honorary Members of the ICCA Consortium. Deeply committed to promoting the recognition of the ICCAs of traditional communities (fokonolona), in her native Madagascar, she has been a catalyst for mobilising these fokonolona. She has fostered the development of their national movement with uncommon strategic vision and technical skills. 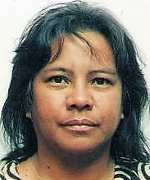 As “person in charge” of major initiatives in Madagascar, including the National Environmental Action Plan (which involved multiple technical and financial partners); the Rural Development Programme (funded with Swiss cooperation); the new Intercooperation Association of Madagascar (supported by the European Union and bilateral donors); and UNDP GEF SGP Madagascar (for which she was a very active National Coordinator), Vololona has years of experience with national programmes and institutions. She has managed multimillion dollar budgets at the interface between environmental conservation, sustainable livelihoods, and local territorial governance. In her work to promote shared governance of protected and conserved areas in West Africa, she has coordinated, in 2016, the technical programme of the IUCN office in Guinea Bissau. At present, Vololoniaina is investigating all possible ways to better recognize and support ICCAs in francophone West Africa.